Looking for a plumber to help you with a clogged toilet or other plumbing issues? Bell Plumbing has you covered! 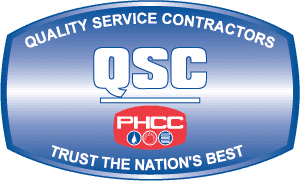 For nearly two decades, our company has been the local community’s most trusted plumbing experts. 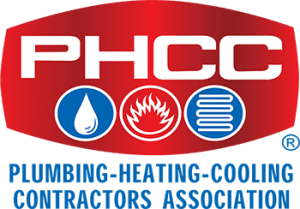 We handle both residential and commercial plumbing work, big or small. Whether you need simple maintenance, complex repairs, or other major plumbing services, our professional team has the manpower and tools to get the job done. In fact, we are one of the few local plumbers with an Underground Construction A license. We are also insured and bonded so you can be at ease with the service we provide. Don’t delay. Our San Mateo plumbers respond promptly, arrive on-time, and ensure quality work at fair prices. Why Is Bell Your #1 Choice? We have proudly served homeowners throughout San Mateo County for nearly 2 decades. We treat customers like family, and take pride in improving or restoring your quality of life in your home. We are proud to back every job we do, whether big or small, with a warranty. We are one of a few local plumbers with an Underground Construction A license for sewer work. Plumbing issues are disruptive, costly, and just downright stressful. Like you, we get frustrated when our home or business is at a standstill because of a plumbing problem. We understand your need for fast, effective solutions—and our team is ready to take on this responsibility. At Bell Plumbing, we put your comfort and satisfaction above all else. Our goal is to bring you the quality of life you deserve. Count on us to provide you with timely, efficient plumbing solutions every time. Our team is trained, experienced, and detail-oriented. We also participate in continuing education to stay ahead of the latest advancements in the industry and serve you better. One call to Bell Plumbing is all it takes to solve all your plumbing issues. We strive to be there for you quickly when you need us most. Our San Mateo plumbers are friendly, courteous, and respectful of your property. We also provide free estimates and back all our work with unbeatable warranties. Bring back the quality of life in your home or place of business by calling us today at (650) 600-3974. San Mateo County and surrounding areas.